When Autumn rolls around, I really enjoy experimenting with different products and using different shades of eyeshadows to create a warm, autumnal look. Around this time, I love to incorporate darker tones, golden or cranberry eyes and of course, a berry lip into my makeup looks. I try to keep things simple so my everyday makeup looks are fairly straightforward. To start, I use the Pixi Glow Booster in Peach Gold to add radiance to my skin and follow that by using the Benefit Professional primer. I then use the Mayeblline Fit Me foundation alongside the Collection Lasting Perfection concealer to create a natural base. As this foundation is matte, I skip powder and use a dusting of the L'Oreal Blush Sculpt to finish off the base. To warm up the face, I use the Sleek Face Contour kit to which helps to add dimension and sculpt my face to give me those 'Angelia Jolie cheekbones'. I finish the base off with the highlight that also comes in the Sleek Face Contour Kit. On the eyes, I usually go for a berry or golden lid. For this, I love using the Morphe 35F palette, which I've coined as 'The Ultimate Autumnal Eyeshadow Palette'- see my review here! I pair my eyeshadow with a cat-eye flick and pile on the mascara. For brows, I have recently fallen back in love with the Soap & Glory Brow Archery pencil as this adds precision and creates natural looking eyebrows. 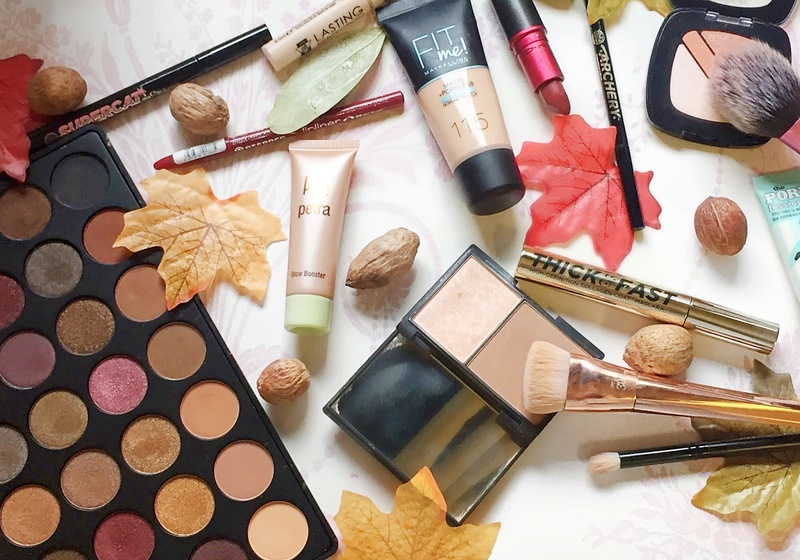 What's your go-to makeup look for Autumn?